I like both Adobe (Lightroom rocks!) and Apple (iPad rocks! 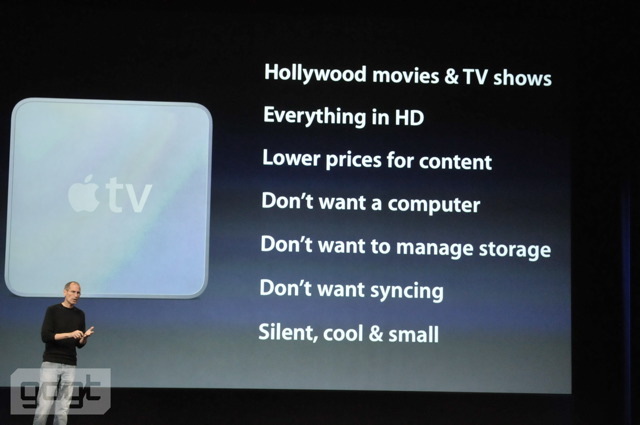 ), but I’ve been asked over and over again what I think about Apple’s new 3.3.1 policy. You know, the one that basically bans cross-platform development frameworks. And, in particular, basically nails the Flash coffin shut on iPhone/iPod/iPad. So, what do I think? And I’m surprised more developers, end users, business leaders, and general web standards lovers everywhere aren’t posting about how great this is. It’s good for end users. The App Store already has a signal-to-noise problem. With hundreds of thousands of apps, finding the good stuff is tough. Bear in mind that every single one of those Apps was built by someone intentionally designing for these devices – and we’ve still got plenty of junk in amongst the gems. Now imagine a bunch of developers just cross-publishing to lots of devices – ignoring all of the strengths of each of those devices. The signal to noise ratio gets worse, fast. Ugh. It’s good for the web. For me, this one is the biggie. These devices are a dual-platform: iPhone SDK and HTML. Don’t like the iPhone SDK? Build for HTML. And finally, finally, someone has stepped up and done something about the de-facto Flash monopoly. Flash has helped the web and HTML standards to stagnate. It’s sorta like a drug. It’s whizzy and slick, granted. But it’s a nightmare, too. Flash crashes constantly. Its performance is terrible (when a 1Ghz mobile processor in the iPad plays video more smoothly than Flash on a 16-core Mac Pro with a hefty GPU, that’s a problem). And it smashes through web paradigms left and right. Why? Because there’s no competition. Look at the browser world, on the other hand. With Microsoft, Mozilla, Google, and Apple duking it out, we’re seeing a breathtaking pace of innovation. Browser stability and performance is improving at an astonishing rate. There’s no reason Flash shouldn’t be super-stable and fast by now – but it isn’t. It’s like the Internet Explorer doldrums all over again – Flash is holding us back, just like IE used to. I’d rather be building for something with a scary fast pace of innovation than something stale. The iPad is already spurring HTML5 adoption even faster than before. Witness all the video and games sites that are already scrambling to announce and ship their HTML5 interfaces. Bring it on! I want to build for the web, not for Flash. Good developers are language agnostic. They’ll write in whatever language is worth the effort. Good developers love great toolsets and great platforms. 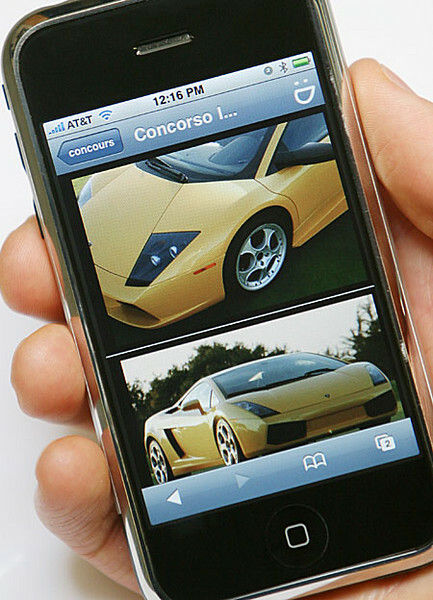 The iPhone SDK is amazing. Good developers want their creations to be perfectly tuned to their purpose. The iPhone/iPod/iPad interfaces demand and deserve lots of individual attention, not to be marginalized by some middleware cross-platform publisher. Good developers want their products found and used. The App Store signal-to-noise issue is a daunting one – more shovelware won’t help. Good developers want a stable community, with lots of advice, sample code, libraries, etc. A fragmented development landscape prohibits that – a unified one encourages it. They get better apps. Happier end users. More productive good developers. Fewer bad developers. And, of course, they make more money. They did invent the software, devices, and App Store, afterall. Why should they marginalize themselves out of their own business? Granted, not quite as good for Adobe as having Flash on these devices. 🙂 But lets not forget that Adobe has a stable of great applications, like Illustrator and Photoshop, which aid iPhone development. Their sales will still boom. Finally, Adobe is incentivized, finally, to actually improve Flash. I’ll bet if Adobe actually made Flash stable, fast, and power efficient, it could get added to the iPhone for use in-browser. It’s not like Apple enjoys seeing half rendered web pages in their browser – they just enjoy customer complaints about crashing and poor performance less. Believe me – I know all about customer complaints due to poor Flash behavior. But that window of opportunity is closing – the owners of those web pages don’t enjoy their stuff being half-rendered either. They’ll rush to fix that problem – without Flash – if Adobe doesn’t fix it for them. So there you have it. Thanks, Apple, for doing what’s best for the web, your customers, and developers like me. The future is bright. Long live web standards! I understand many disagree, and have their own reasons. Go write for Android, another great platform that’s more open. Maybe if you do, Android will ‘win’. I think you’re confusing platform choice and development choice here. Personally, I’d love to have more platform choice. Who wouldn’t? But Apple did invent this thing. They certainly deserve to make whatever decisions they want about it. If you’re right, and I’m wrong, those decisions will kill the platform. I happen to think I’m right, and I happen to think Flash needs to seriously improve – and the Apple’s the only way that’s gonna happen. Note that I don’t have an opinion on things like MonoTouch, which I know nothing about. It could very well be that Apple painted with too wide of a brush here and excluded some things that should really be included. I just don’t know. I do know, though, that history has shown that cross-platform languages and frameworks have an abysmal success rate. The last thing we need is watered down apps built for the lowest common denominator. Finally, yes, SmugMug uses Flash. I’m sure we’ll continue to use it. Like I said, it’s slick and whizzy and like a drug. We used it because it was the only tool for the job. Adobe did a great thing with their h.264 support, and we love our Flash apps – when they work. But it’s been awfully frustrating to watch Flash continue to crash and perform poorly for our customers, especially because Adobe doesn’t seem to care. They certainly don’t respond to us when we ask for help, and they certainly haven’t fixed their issues with multiple releases. I’m hopeful that this sudden pressure and increased competition will cause them to bring Flash up to the level of their other superb products like Lightroom. If not, you’ll certainly see us move away from Flash as HTML5 support and performance continues to improve, just like everyone else on the web. We can play Quake II in HTML5, for heaven’s sake! Steve Jobs on Adobe. Amen, brother. Getting lots of requests about an iPhone app for SmugMug. As you no-doubt know, we’re enormous Apple fans over here, and iPhone fans in particular. Most of the company camped out in line at the Palo Alto store (see stories here and here), we were the first photo sharing app with an iPhone optimized interface (and one of the first web apps anywhere), and we designed our awesome new video sharing service with iPhone in mind. So I think it’s no secret that we’d love to have rich, intuitive native iPhone applications for ourselves and our customers.